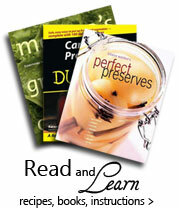 Thought about canning and preserving your own food? Maybe you haven't given it a try because you believed it would be too involved. The truth is, today's methods and procedures for home-canning, freezing, and drying food are simpler and easier than ever. And now, with this easy-to-follow book, you'll get the information you need to can and preserve food safely. Providing troubleshooting tips for home-canned creations, sources for locating equipment suppliers, a metric conversion guide, and definitions of preserving terms, Canning and Preserving For Dummies has just what you need to fill your pantry with savory homemade fare. 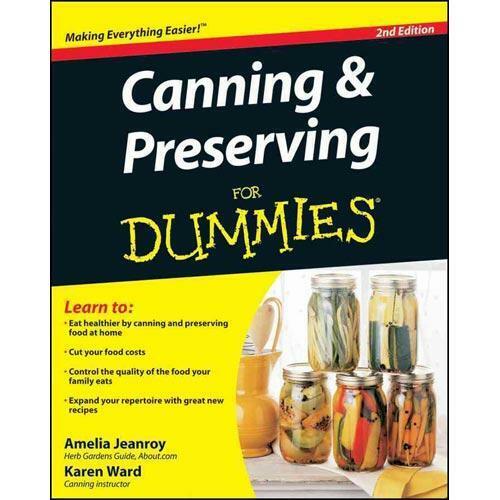 Chapter 1: Everything You've Wanted to Know about Canning and Preserving, but Didn't Know Who to Ask. Chapter 2: Walk the Walk, Talk the Talk: The Language and Gear of Canning and Preserving. Chapter 3: On Your Mark, Get Set, Whoa! : The Road to Safe Canning and Preserving. Chapter 4: Come On In, the Water's Fine! : Water-Bath Canning. Chapter 6: Sweet Spreads: Jams, Jellies, Marmalades, and More. Chapter 7: Condiments and Accompaniments: Chutneys, Relishes, and Sauces. Chapter 8: Pickle Me Timbers! Chapter 9: Don't Blow Your Top: Pressure Canning. Chapter 10: Preserving the Harvest: Just Vegetables. Chapter 11: Combining the Harvest: Soups, Sauces, and Beans. Chapter 12: Baby, It's Cold Inside! : Freezing Food. Chapter 13: Meals and Snacks in a Snap: Freezing Prepared Foods. Chapter 14: Savoring the Days of Summer: Freezing Fruits and Vegetables. Chapter 15: Dry, Light, and Nutritious: Drying Food. Chapter 16: Snacking on the Run: Drying Fruit. Chapter 17: Ten (Or So) Troubleshooting Tips for Your Home-Canned Creations. Chapter 18: Ten (Or So) Sources for Canning and Preserving Supplies and Equipment.